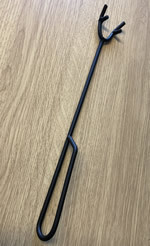 Castmaster TM Cast iron Chimneas online from only £57.75 including delivery: Largest range of Cast iron Chimneas UK online. 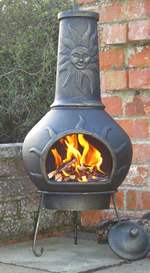 Thanks for a prompt delivery, I am very pleased with the chiminea and the service you deliver is excellent !!. One of our latest entry models representing excellent value for money. 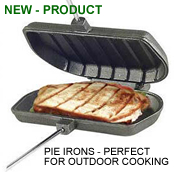 Featuring robust fire grates, a matching rain cap and iron stand. Finished in a superb premium quality heat resistant bronze coloured coating. Inspired by a Mexican chimnea design of the Sun.The fire grate is made of two removeable sections allowing for ease of de-ashing via the hole in the bottom, simply lift off the covering plate to empty. 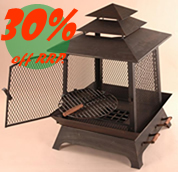 This chiminea is extremely robust and weighs over 30kgs. Minor assembley required. Our Deluxe Medium cover is suitable for the Phoenix, Vienna, Grapevine. Alacante, and Small Palma chimneas. 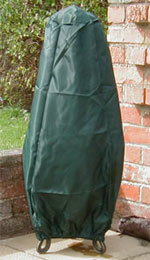 Hardwearing 100% waterproof polyester fitted chimnea cover with elasticated bottom. UV stabilized.